I am so excited to share this wonderful healthful recipe with you this week. 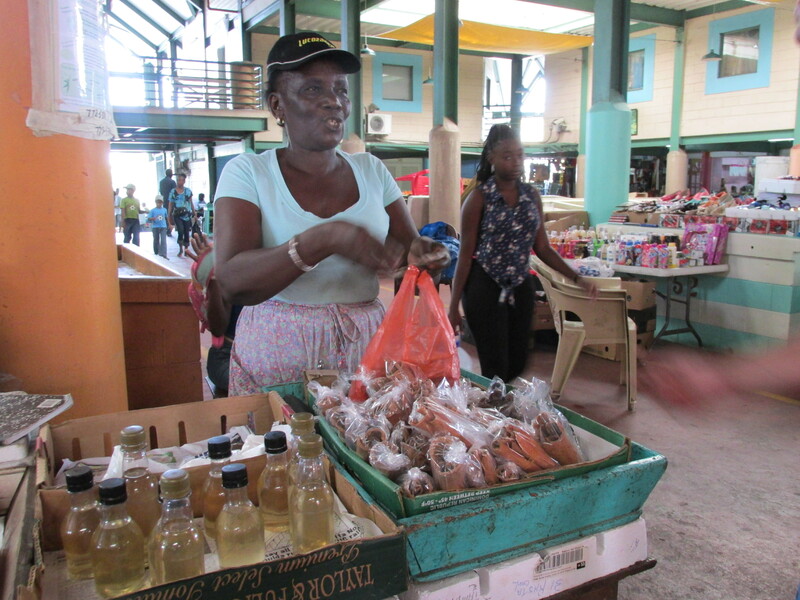 But first I have to tell you about the weekly market in St. John’s on Saturday mornings as I have just visited it for the first time. Make sure you bring a little ‘attitude’ when you come here as the ladies love some chat! Aren’t the colours wonderful? Antigua is an island. It is not a farming island. 70% of the income comes from tourism. Therefore, most of the produce gets shipped in. Epicurian is the largest supermarket on the island and their deliveries come in on a Tuesday, so by the weekend, stock is in thin supply. I shopped on Monday this week and there was a whole host of things that I couldn’t find. It gives me a real feeling of isolation and reliance. For fresh produce I prefer to buy from the street vendors and farmers markets than at the supermarkets. It is possible to have a friendly rapport with the sellers rather than the sometimes surly check-out girls and the supermarkets frightening prices. 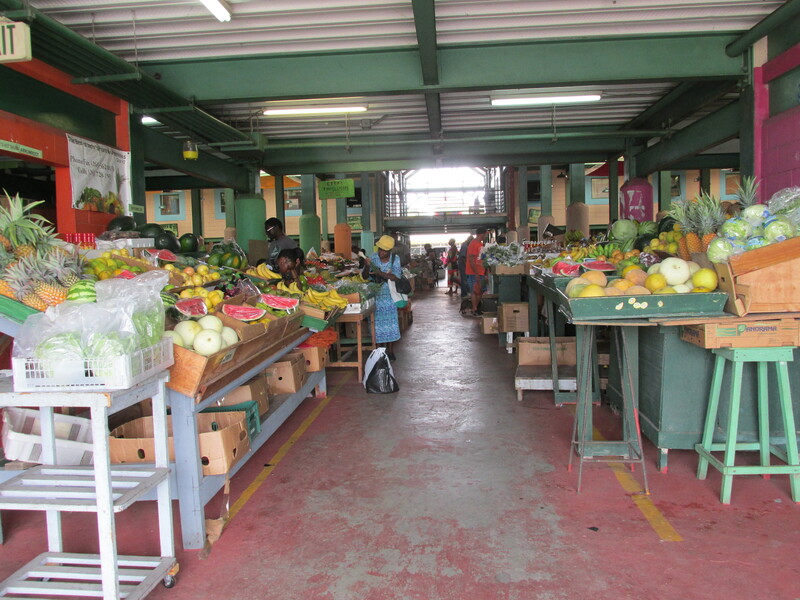 Even at the farmers markets, however, much of the produce is shipped in, but from neighbouring Dominica as opposed to the US. On Saturday mornings starting very early there is a craft market along Market Street outside and fruit and vegetables in the covered market area. Antigua is a relatively is a poor country and the streets around the market area are quite dirty with rubbish. The craft market is more of a haberdashery than genuine crafts. I like the fruit and vegetable market though and there was a wonderful array of fresh tropical produce. I have read a great deal about the health benefits of turmeric from anti-inflammatory to antioxidant and anti-depressant. 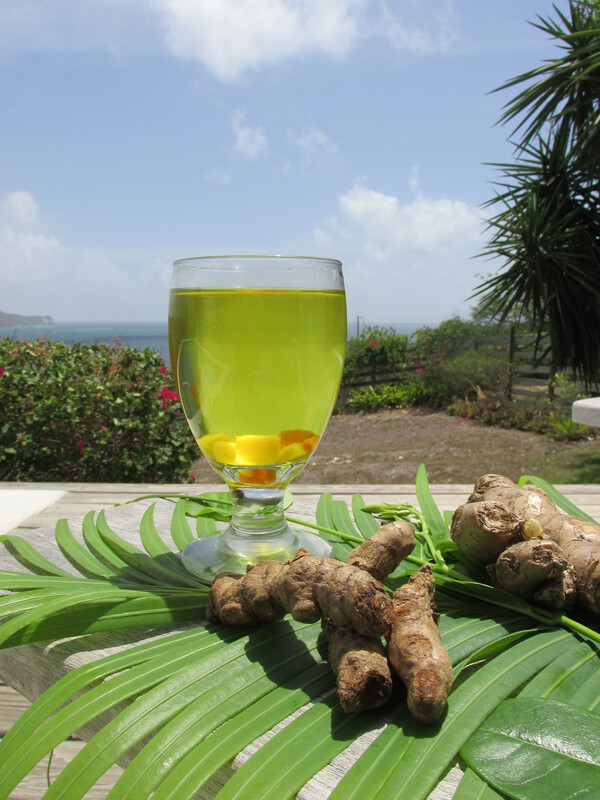 It is readily available here in Antigua from the street markets and as I am a real tea drinking girl, I decided to pick up some spices at the market and boil up fresh turmeric tea. 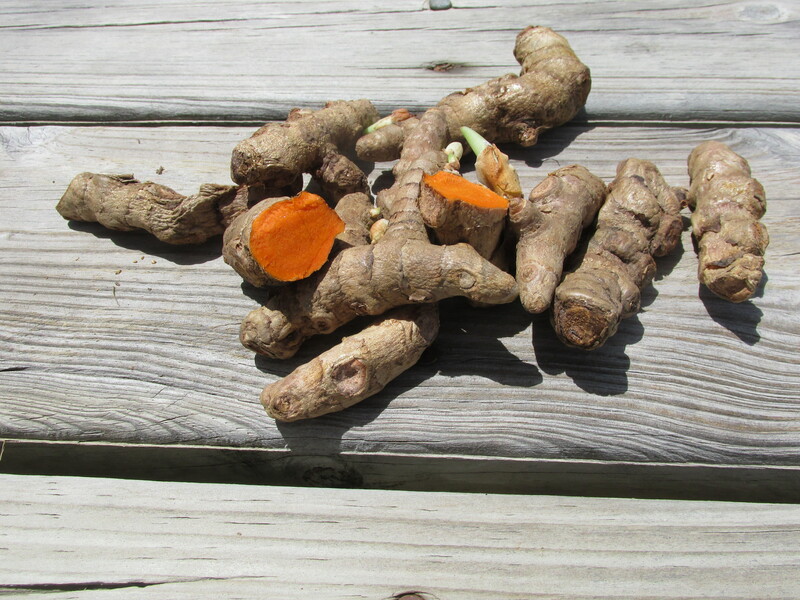 As a little note, turmeric stains everything orange-yellow, so you may want to wear gloves when you prepare it. I drink it through a straw to avoid my teeth turning that colour too – I have no proof of that happening but I take no risks! ← Devil’s Bridge, Antigua, West Indies – a place to visit, if you dare! Turmeric won’t stain the teeth But if it does swish with coconut oil for 20 minutes and brush after. Pearly whites will return. 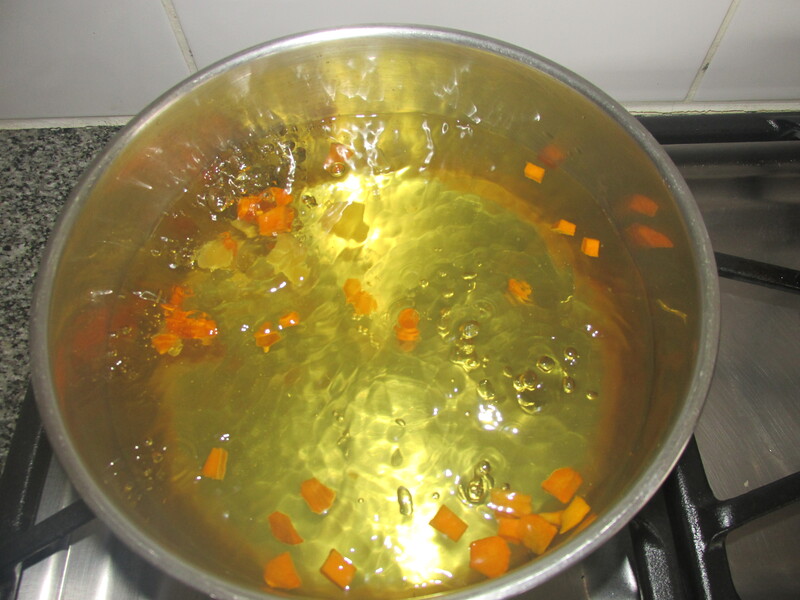 Another thing try putting the tumeric and ginger in your fish sauce. You will not regret it. Of course, you shouldn’t forget your onions, garlic, parsley, celery and sweet peppers. 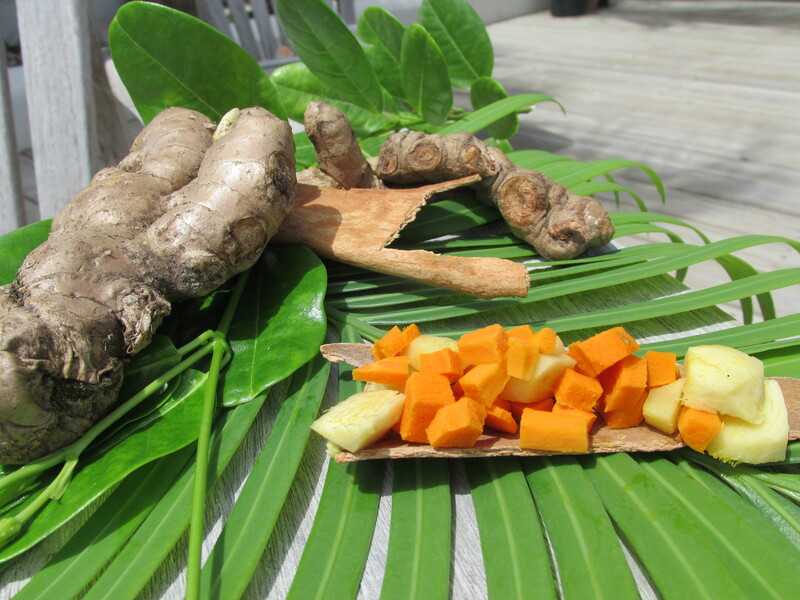 All of this steeped in coconut milk is not only wholesome and healthy but absolutely delicious. You can purchase all of that in that colorful market. Thank you so much for sharing these wonderful tips Alscess. I will defintiely try you recommendation!